See the stats for Whittaker vs. Gastelum and Adesanya vs. Silva. UFC 234 in Melbourne, Australia features up-and-comers taking on some of the sport's greatest combatants, with main and co-main events that have the MMA world buzzing. Robert Whittaker will look to defend his 185-pound title against surging youngster Kelvin Gastelum, while highly-touted kickboxer Israel Adesanya will look to usher in a new era when he takes on legendary middleweight Anderson Silva. Watch our previews below, check out the in-game ratings for each fighter, and let us know who you see winning ahead of the big night down under. Having overcome the massive challenge that comes with fighting Yoel Romero not once, but twice, Robert Whittaker turns his attention to defending the middleweight belt against Kelvin Gastelum. A powerful striker with a granite chin, Gastelum poses a serious threat while on his feet, however Whittaker holds a statistical advantage in every in-game category. It will be interesting to see if Gastelum can rise to the occasion and take down a champion with few to no holes in his game. In a fight that might be best described as old school versus new school, undefeated sensation Israel Adesanya will face one of the greatest fighters to ever do it in Anderson Silva. Both fighters bring arsenals that focus heavily on striking, powered by kicks, elbows, knees, and punches that give these warriors a flashy yet impactful style. Will it be Adesanya's time to rise, or will Silva remind everybody why he's considered an all-time great? 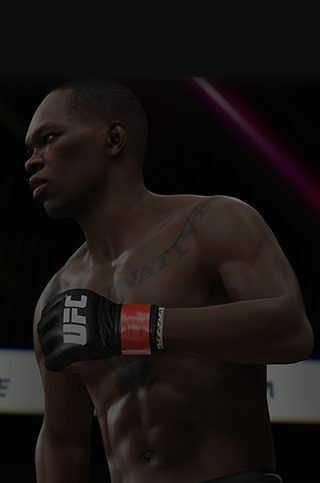 Thanks for watching, and don't forget to share your best KO's or submissions when you play these contests in UFC 3.